Many of the people most affected by the EU referendum decision will have no say in it. If Britain votes to leave the EU, then all Britons will lose something that many Britons cherish – European citizenship. Under EU law, all citizens of the European Union have joint citizenship: their own nationality, and European citizenship. This gives all EU citizens the right to live, work, study, retire or do business in any other EU or EEA country. There are around 2.2 million Britons living in countries across the European Union. Those who have been there for over 15 years will not have a referendum vote, even though the referendum result directly and profoundly affects them. This, despite the Conservatives manifesto promise that the ’15 year rule’ would be abolished. The government recently announced that the pledge to give all Britons, wherever they live, ‘votes for life’ could not be implemented in time for the referendum vote. If Britain leaves the EU, nobody knows what will be the legal status of over 2 million British people, living, working, studying or retired right across the EU. Those Britons moved more easily to other European countries only by virtue of Britain’s membership of the EU. Indeed many tens of thousands of Britons bought residential properties and holiday homes in all reaches of the EU because EU membership made that both possible and relatively simple. Many Britons have also set up businesses right across the EU only because EU membership made that possible and relatively simple. Britain is Europe’s biggest exporter of people to the rest of Europe, and Britons make more use of the EU founding principle of ‘free movement of people’ than any other nationality. The free movement of people, goods, services and capital across the EU has helped to make the EU the world’s biggest economy, and the world’s biggest exporter and the world’s biggest importer of manufactured goods and services. Nobody knows what will be the legal status of those Britons living across the EU if Britain leaves the EU. Politicians can guess, but nobody really knows. Maybe special deals can be made with individual countries or all the EU. But anybody who claims that this will be possible, or likely, or quick, is not being honest; because nobody can know, and nobody has said, as no member state has ever previously left the EU. There will be uncertainty for all Britons living in other countries of the EU from now until the referendum result. And if the referendum result is LEAVE, there will be further years of uncertainty whilst the status of those Britons abroad is negotiated. There are around 2.4 million citizens from the rest of the EU living in the UK. Most of them will not have a referendum vote, even though the referendum result directly and profoundly affects them. 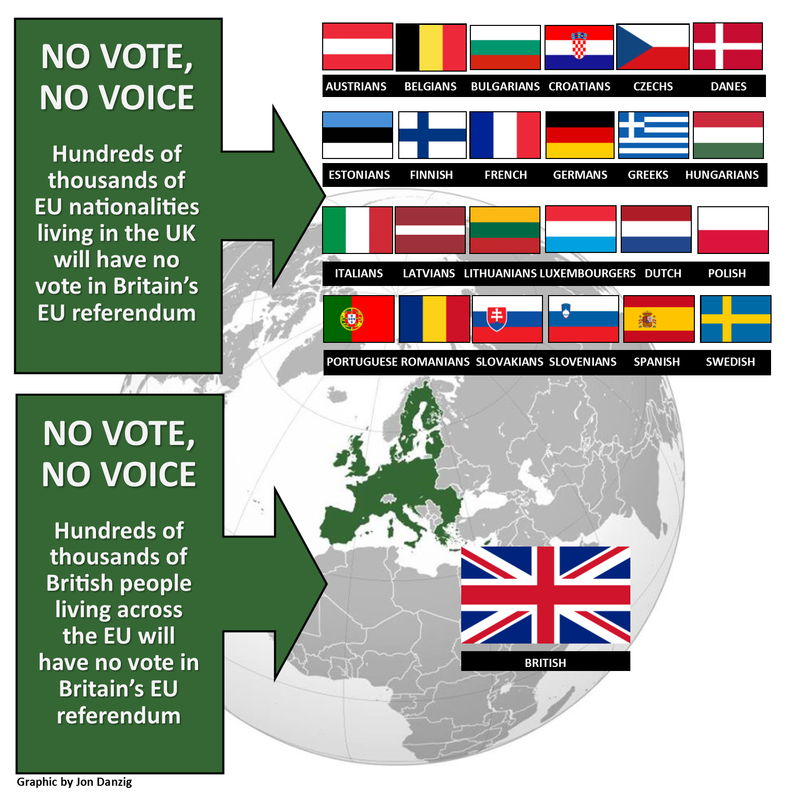 Apart from British citizens, Cypriots, Maltese and Irish will be the only EU citizens allowed to vote; the first two because they are members of the British Commonwealth, the latter by special agreement. So, Italians, French, German, Dutch, Slovak, Polish, Danish and all citizens from 24 EU states who have made Britain their home – many of them for decades – will have no say in their future here. If Britain votes to leave the EU, then all citizens here from the rest of the EU won’t lose their European citizenship, as all Britons will. But they will lose the right to live, work, study, retire or do business in Britain. If Britain leaves the EU, nobody knows what will be the legal status of over 2 million EU citizens living, working, studying or retired right across the UK. Those citizens from other parts of Europe moved relatively easily to Britain only by virtue of the fact that they are citizens of the EU. Indeed many of them have bought residential properties, and holiday homes, in the UK, because EU membership made that possible and relatively simple. 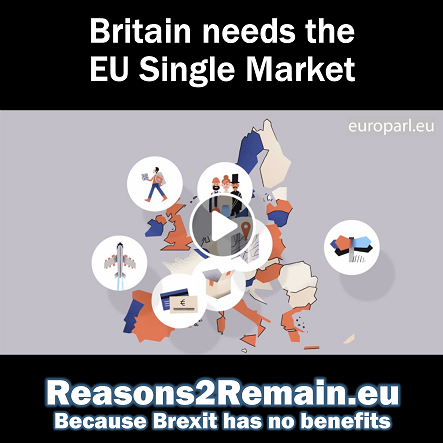 Many citizens here from the rest of Europe have also set up businesses right across the UK, only because EU membership made that possible and relatively simple. Nobody knows what will be the legal status of those EU citizens living across the UK if Britain leaves the EU. Politicians can guess, but nobody really knows. Maybe special deals can be made with some citizens here from some EU countries, or maybe citizens from all EU countries. But anybody who claims that this will be possible, or likely, or quick, is not being honest; because nobody can know, and nobody has said, as no member state has ever left the EU. There will be uncertainty for all EU citizens living in the UK from now until the referendum result. And if the referendum result is LEAVE, there will be further years of uncertainty whilst the status of those EU citizens living in the UK is negotiated. In addition, the British government has announced that they are against the idea of 16-17-year-olds having a vote in the EU referendum, even though the referendum result directly and profoundly affects them. Europe is their future more than anyone else – because they can expect to have to live with the decision for more years to come than anyone else. If younger people don’t have a vote, the decision on something that will affect their lives for a long time will be made for them. If you do have a vote in the referendum, please also speak up loudly and clearly – for the sake of fairness, democracy, and to give a voice to those who currently don’t have a vote. Write to your MP and MEP, asking for the democratic rights of others to be recognised. (TOO LATE: The EU referendum bill has been passed). If you have the right to vote in the referendum, make sure you are registered to vote. If you are a British citizen living abroad, and you are within the 15-year bracket, make sure you are registered for a postal or proxy vote. This referendum may be the defining moment of our lives. It will be our generation’s ‘Battle for Britain’ either to leave or to remain in the European Union. Future generations may ask us, “What did you do in Britain’s EU referendum?” Now is the time to decide what your answer will be. This entry was posted in Current Affairs, Democracy & Citizenship, Law & Justice, Politics & Public Policy, The EU and tagged brexit, democracy, EU citizenship, European Union, referendum, voting. Bookmark the permalink. 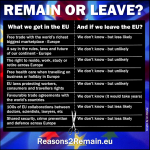 Previous: The end of free movement to and from Europe? The 15 year rule was a a piece of spite legislated by Tony Blair to stop British retirees voting in the general elections of the UK for the Conservative Party. UK referendums are for UK citizens, just as the French Referendum, the Dutch Referendum, the Irish Referendum (which all rejected the EU and its constitution) were for French, Dutch and Irish citizens. If an EU citizen wishes to vote in the referendum, apply for British citizenship, not difficult, plenty of time to do so. 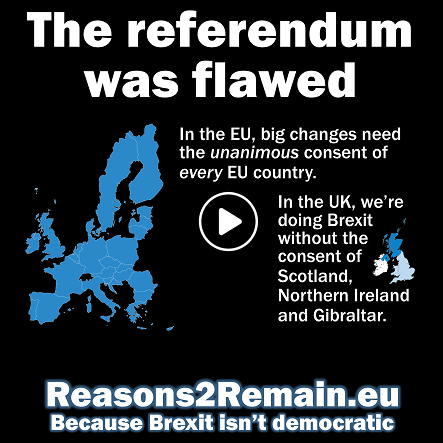 Gerrymandering a referendum, or seeking to do so displays a growing realisation that your view is on the wrong side of British opinion, as the polls clearly demonstrate. Desperate stuff, I expected better from you. Hardly desperate, Roy Jacobs. I have simply presented the facts and some of the arguments for allowing residents here from the rest of the EU to vote. You say EU migrants simply need to obtain British citizenship to vote; but why don’t you say the same for Commonwealth residents with leave to remain here? As people living here from, for example, Australia, Canada, Ghana, Malaysia, India, Pakistan, Singapore, South Africa, Uganda and Zimbabwe can vote in the European Union referendum, then why not EU citizens resident here too? EU migrants living in Scotland were allowed to vote in last year’s independence referendum. EU migrants living in Britain are allowed to vote in our local elections and in the European Parliament elections. 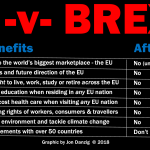 So, there is I believe a strong, not a desperate, argument to allow EU migrants permanently resident in the UK to participate in an EU related referendum.